Showing to our many clients our commitment to being the leading innovator in our industry and, more importantly, Tampo’s commitment to environmental responsibility. This is our latest in eco-friendly cliché/plates, which requires only water, and puts an end to the use of toxic chemicals. Our Cool Green, Water Wash Photopolymer plate ensures the highest quality of reproduction for your cliché printing needs, with the lowest amount of environmental impact. The CTP (computer-to-plate) technology is to be able to create higher and clearer reproduction of screen dots and letters and has excellent durability for open well systems using doctor blades, as well as closed Ink-Cup systems with either ceramic or carbide steel doctor rings. In addition, this superior photopolymer technology produces a water wash plate which has the durability to utilize Solvent Based inks, Silicone Inks,and UV Inks. This revolutionary plate eliminates the need to use toxic, environmentally damaging washout solvents, and allows processing by “Water”. How Does the Water Wash Plate Perform? The Cool Green, Water Wash Photopolymer Plate provides the same print quality you have come to expect with any standard cliché printing plate but with increased durability and easier clean up process. Leading to more items being produced, with less time devoted to maintenance and clean up. The set up and creation of the plates takes no more time than the standard plates you are using today (approximately 45 minutes). 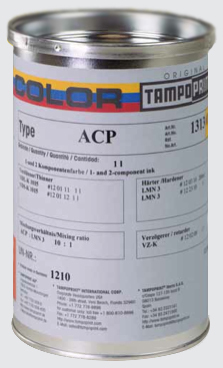 It provides good resistance to solvent ink, water based ink, and is usable on existing laser machines. 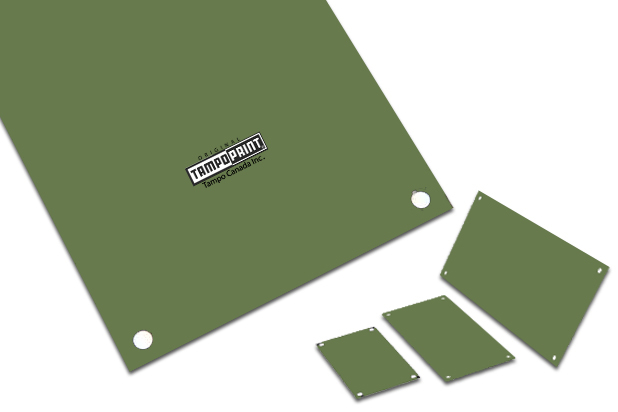 The increased durability is because of a highly cross-linked photopolymer, which is exclusive to the Tampo Cool Green, Water Wash Photopolymer Plate. The cleaning and maintenance of these products is absolutely exceptional, and safe. Simply washout the plate in plain tap water at a temperature of at least 21 degrees celicius, with our plush material moving in a figure 8 motion over the image and entire cliché/plate. This completely eliminates the use of dangerous hydrocarbon and hazardous washout solvents. Providing you with the piece of mind that you are not only receiving the best quality product, but you are also utilizing the most environmentally friendly print method on the planet.